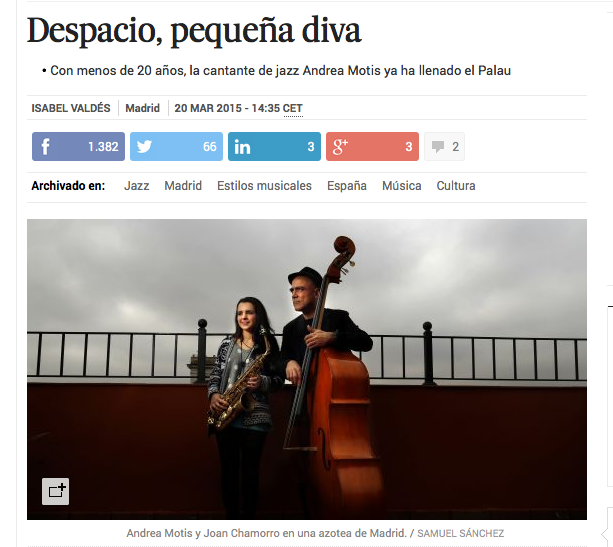 Spanish newspaper El País dedicates a long interview to Andrea Motis and Joan Chamorro for its digital edition. A new dive is born, Isbale Valdés talks about the beggining and new projects of bith artists. You can read full article here.